eCommerce has changed the way consumers behave and provides many business benefits. Companies that implement eCommerce effectively enjoy quick growth and profitable margins. The Badger Press team includes an eCommerce specialist with real business experience, placing us in a strong position to understand your business and help you grow and succeed. 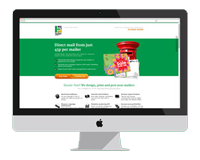 Bespoke eCommerce solutions to sell your products and services effectively online. Enjoy higher sales and repeat custom rates using the latest technologies and design techniques combined with best practice digital marketing. Put your products and services in the pockets of your customers. Over 30% of smartphone users have made purchases using their mobile devices. Capture this growing market. Your project is in safe hands with our in-depth knowledge of business processes unique to eCommerce businesses. Whether you are adding eCommerce to your existing retail channels or are building on an existing solution, we can offer comprehensive advice and support beyond the technical considerations, including business planning and staff training requirements. Please contact us today to discuss your eCommerce requirements.